Throughout its history, JRCT has made grants to support the work and witness of individual Quakers and Quaker organisations. From 1999 onwards, many of these grants were made through the Quaker Concerns programme of the Trust, which latterly concentrated on initiatives to bring Quaker values to the wider community and to strengthen Quakers’ shared identity. The Quaker Concerns programme was the smallest grant programme of the Trust and a programme review in 2012 suggested that this area of funding required a more proactive approach if it was to thrive. In 2013, as part of a strategic review, the Trust took the difficult decision to close the Quaker Concerns programme in order to enable the Trust to focus resources on our new funding priorities. 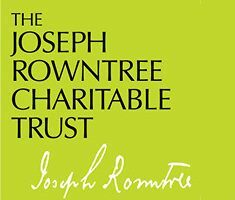 Quaker organisations and individuals are warmly encouraged to apply to the main programmes of the Trust where their work is relevant to our published grant policies.